The male is similar to the Jungle but has white underparts heavily barred with black, a rufous stripe above pale eyebrows, vermiculated beige and black underparts and pale undertail coverts. 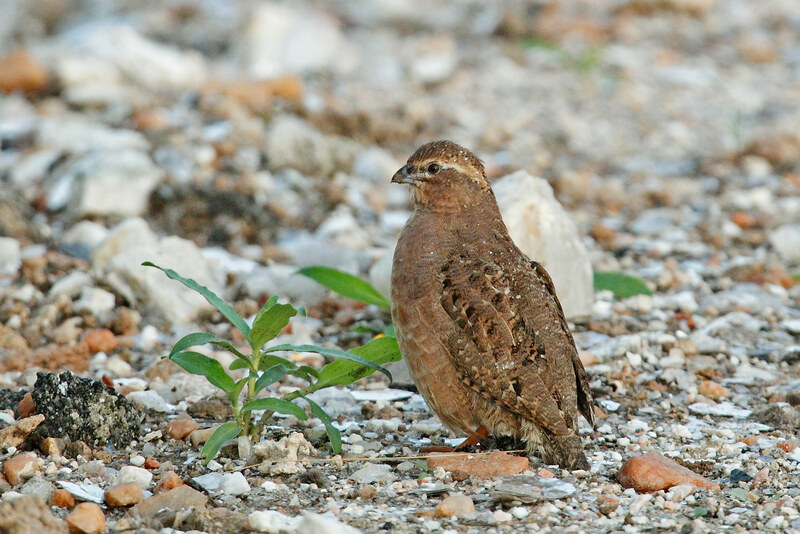 The female has a plain rufous face, whitish chin and pale supercilium. Habits: Similar to Jungle. Dry semi-desert and thorn-scrub country. W India from Haryana to S Kerala, Gujarat to Madhya Pradesh.